Individuals going through a military divorce will want to work with a to help work through the unique challenges. One unique aspect of a military divorce is determining how the military pension is divided. The division of this pension can unfortunately be very complicated. A military service member who retires after 20 years of service is generally entitled to a pension. This pension can be quite valuable, as it pays a benefit to the service member for life. Military pensions are considered marital property and are thereby subject to division at divorce. 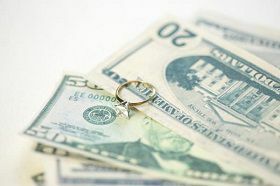 In most cases, a spouse of a military service member may be entitled to half the military pension if the marriage lasts longer than ten years. However, the amount that is divided is not set in stone and it can be negotiated during a divorce settlement, just as is the case with any other asset. For example, an attorney can help negotiate a higher division for a spouse of a service member even if the couple was married for less than ten years. Or, a lawyer can help reach a settlement where the spouse receives a lower division, even if the couple was married for more than ten years. In some cases, it may be worth it to fight for an equal share of the military pension. However, many individuals may be willing to make concessions for a greater award of another asset, such as the family home.